Seeing old things in new ways. A semi with a Sydney harbour outlook becomes a sensory experience where traditional tensions between public and private space are explored through an interplay of light, solid and void. 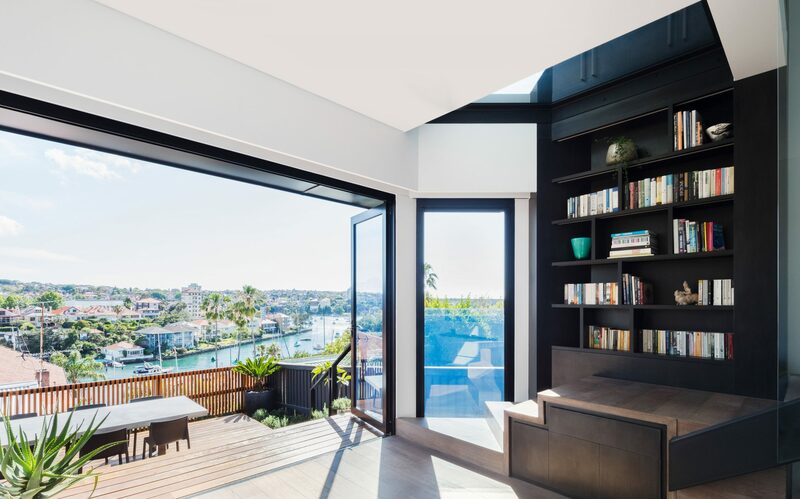 Doorzien - “see-through” in Dutch - aptly describes the design strategy for this narrow semi, located on a steep site in a heritage conservation area on Sydney’s Lower North Shore. To move through the dwelling is to feel the Kirribilli topography; a three-metre slab of exposed sandstone bedrock in the cellar is a reminder of place and time. The clients’ brief called for a home where “crossing the threshold, the past is left behind”, and where interconnected yet separate living spaces could be experienced simultaneously. Transparency, layered views and intelligent luxury are embedded in the design response for what our clients now call their “forever house”. Living spaces were orientated to the rear; multiple interior viewlines serve as a counterpoint to the expansive harbour views. This approach continues to the rear garden, with bleacher-style steps moderating the level change, extending the study and sitting room interiors to form a third living space. Textures captured in the luxe bathrooms provide a muted counterplay to the airy insouciance of the living spaces. Art collected over a lifetime is brought together with new pieces on gallery-style white walls with high ceilings, imbuing the dwelling with memories old and new. Distinctive in its robust expression, the Doorzien House offers a precedent for breaking rank and dismantling the hillside cottage typology.